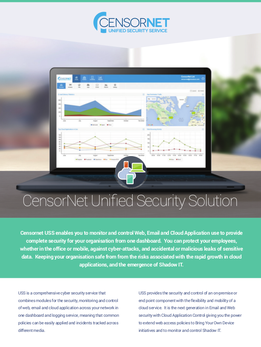 CensorNet USS Unified Security Solution gives system administrators insight into and control over the use of Cloud and Network Applications. 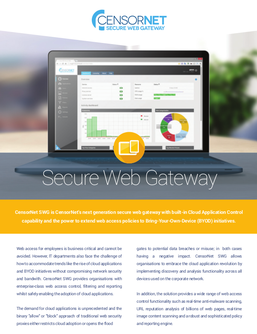 With the increasing mobility of employees and Shadow IT in BYOD environments it is essential to have a grip on what is happening with your organisation´s information and to be able to easily apply security policies to cloud applications just as with network applications. CensorNet´s dashboard includes web and email filtering protecting employees in and out of the office against cyber-attacks, accidental or malicious leaks of sensitive information. For maximum visibility it is also easy to integrate other security solutions into the CensorNet dashboard. 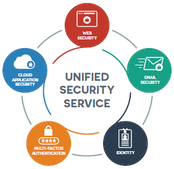 The USS keeps your data and information safe with Multi-factor Authentication.